This uniquely shaped vessel sink wraps around itself in the back and it is slightly declined towards the front. Kool is made out of a material called Vetro Fredo which is a mixture of glass pigments and resin that makes it extremely resilient to high and low temperatures. The general outline is elliptical and available in three sizes and four dark and warm colors. 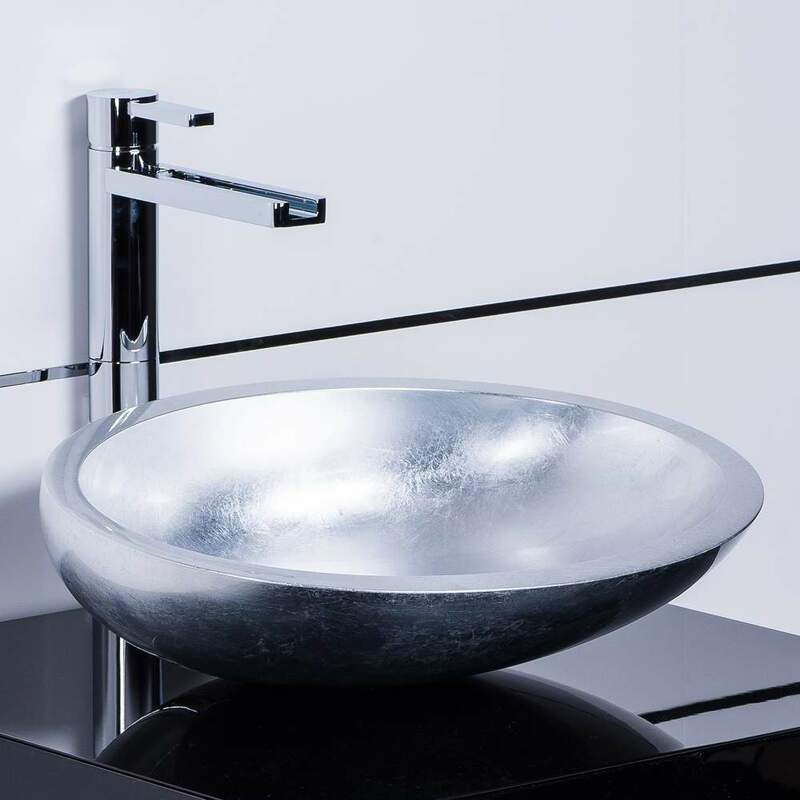 Due to its small size and light weight, this silver Small Bathroom Sinks is ideal for small spaces with sleek and narrow bathroom countertops or bathroom vanities.